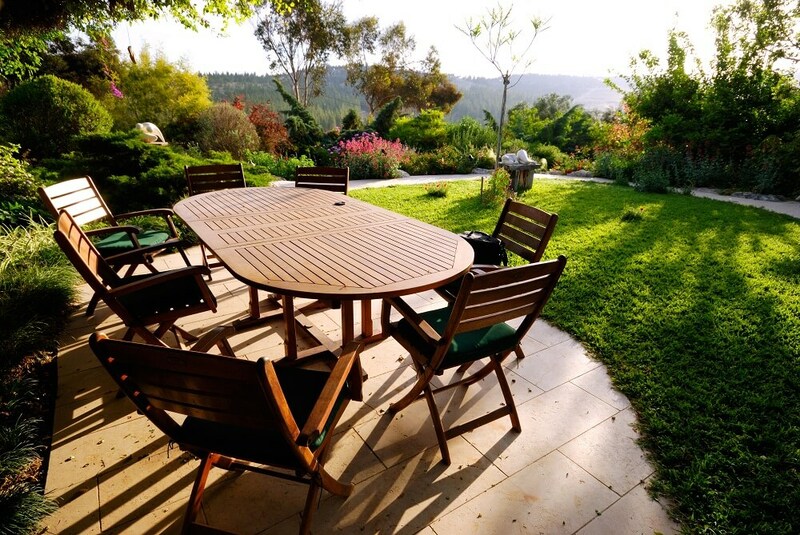 Garden Furniture | Which Treatment to Clean & Maintain? 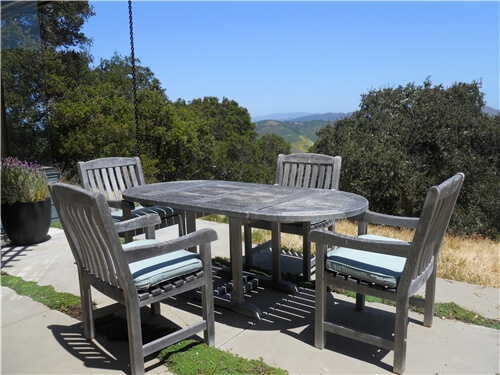 Most garden furniture sets are made of hardwoods for a good reason. Hardwoods such as Teak and other exotic hardwoods tend to be dense and naturally oily. This makes them durable, long lasting and able to withstand everything that the British weather can throw at them for a good number of years. This said however, it doesn’t mean that garden furniture sets are indistructable and therefore need no care or maintenance. Depending on the number of chairs, size and construction of the table, storing garden furniture away for winter may not always be an option. Thankfully, by following a few simple steps, garden furniture can be protected to ensure that it stays in tip top condition year after year. 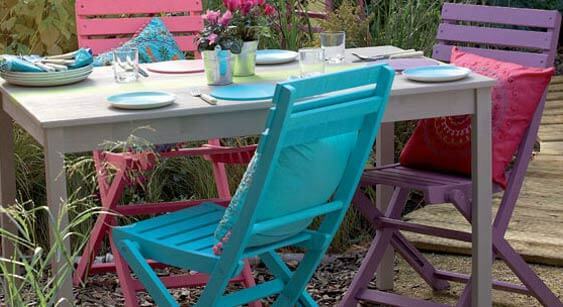 New garden furniture can be kept looking new and protected through the winter months by following a few simple steps. One of the key things to check is the woods oil content. If the furniture is fairly new, it’s a good bet that the wood will still retain much of its natural oil. To test this, put a small drop of Olive oil or other cooking oil somewhere on the surface of the table. If it beads on the surface and stays there for a time, the wood is well oiled and doesn’t require any more. If however the cooking oil soaks in to the timber like ink on blotting paper, it’s probably ready to be re-oiled with a garden furniture oil. By their nature, dense exotic hardwoods have a very tight grain so it’s important to use a high quality teak or garden furniture oil that will penetrate in to the grain of the timber. Garden furniture oils are typically available in 500ml and 1Ltr tins with the latter usually costing around £10 or less. As these wood oils are applied very thinly, a 1Ltr tin is usually sufficient to treat a garden furniture set of table and chairs with spare. To apply garden furniture oil, simply wipe on with a brush or lint free cloth taking care to remove any excess oil from the surface. If you have a garden furniture set that has already been left untreated for a number of years, and is starting to look a little worse for wear, fear not. with a little time, effort and the help of some great wood finishing products, you can turn back the clock and restore it to its former glory. Its worth mentioning at this point that restoring the colour of garden furniture that has turned grey through weathering isn’t to everyones taste. In fact, there is a demand for the rustic, weathered gey look. This isn’t a problem as garden furniture sets that have turned grey can still be protected and preserved while retaining the weathered look. The process of restoring, preserving and cleaning garden furniture is usually carried out over several days, this is because some of the products used require time to work before the next stage of the renovation is carried out. Firstly, lightly sand the surface with a 120 grit sandpaper. This is to remove any surface dirt, debris or traces of biological growth such as mould and alge. To help restore the original colour of the wood, follow the steps below. To retaine the grey, weathered look follow the same steps but skip point ‘3’ relating to the ‘Osmo Wood Reviver Gel’. Wipe over the wood with White Spirit or Methylated Spirits. This acts as a degreaser and helps to remove any surface contaminates that may affect the final finish. If the wood showed signs of mould, algae, black patches or spots, treat with Mould and Mildew Cleaner This product penetrates into the timber and kills off the mould and algae spores that surface cleaning alone wouldn’t achieve. To help reverse the greying affect and restore the natural colour of the wood, treat with Wood Reviver. This is applied to all surfaces of the furniture with a stiff brush or scotch pad and left for 20 to 30 minutes before being washed off with clean water. Always wear overalls, gloves and safety goggles or glasses when using this product. Leave the furniture for 24 to 48 hours for the natural wood colour to return. Depending on how long the timber has been gey, you may wish to repeat this process. Treat the wood with a good quality Wood Preservative and allow to dry. Although spirit based wood preservatives normally touch dry in just a couple of hours, they should be left for a couple of days if overcoating with an oil to allow the solvent content to fully evaporate from the wood. Once the wood preserver has fully dried, normally 48 hours or so, the garden furniture can be oiled with a specific garden furniture oil or high quality Teak Oil. The above restoration process from start to finish will only need to be done once as subsequent years, the table and chairs will just need a fresh coat of oil. Looking for something different and unique? Garden furniture restoration doesn’t neccessarily mean returning it to how it looked when new. There are now a wide range of attractive garden wood paints that are perfect for use on garden furniture and other wooden structures such as garden sheds and garden fences. As many garden paints are water based its important to note that they can’t be used on wood that has been recently been oiled. Furniture that hasn’t been oiled for a good 2 or 3 years should be fine after a light sanding and degrease with white spirit or methylated spirit. For new garden furniture that has been oiled in the last year or two, the wood may require a more thorough sanding and thoroughly degreased with methylated or white spirit. A small test area should then be painted, ideally on the underside to test that the paint adheres and dries properly before starting any project.